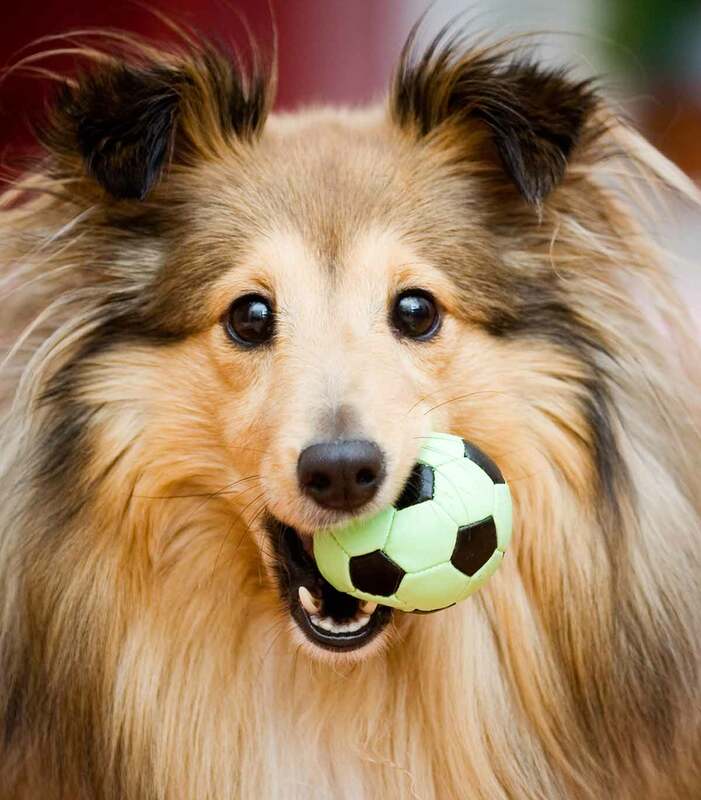 The best dog squeaky toys for your pup will first and foremost be safe toys! You will also want to find dog squeaky toys that will last for at least a few weeks (ideally, much longer) in your dog’s happy jaws. Of course, finding tough squeaky dog toys will also look different depending on your dog’s size, jaw strength, and interest in chewing. In other words, the best dog squeaky toys for a Chihuahua and the best dog squeaky toys for a Rottweiler will likely look quite different! In this article, we take a close look at the best dog squeaky toys for dogs that love squeakers and love to chew. Our goal is to help you identify safe, durable toys that your pup will love! The Humane Society cites several key safety factors to consider when selecting the best dog squeaky toys for your particular puppy or adult dog. You want to choose toys that are sized appropriately for your dog. This means the toy should be too big to swallow and strong enough to withstand your dog’s jaw strength. More active dogs require more exercise, activity, and play time to avoid becoming destructive towards toys and other things. By providing more exercise and interactive play, you reduce the risk your dog will over-use toys in an unsafe manner. Some dogs love to chew anything and everything (sometimes this is partly genetic) and other dogs are gentler and just prefer to mouth toys or carry them around. If your dog is consistently very rough with toys, you may want to reconsider offering squeaky toys for safety reasons. Any toy can become dangerous if it has easily detachable parts or can be chewed up into smaller bits and swallowed (including that enticing inner squeaker!). For this reason, you should always supervise your dog when introducing any new toy. Dogs typically need three types of toys: chew/activity toys, comfort toys, and distraction toys. Squeaky toys typically fall into the chew/activity toys category. By providing all three types of toys you reduce the risk your dog will over-use a squeaky toy. Plush dog toys with squeakers fall into the category of “comfort toys” for most dogs. However, for safety reasons, the best dog squeaky toys that are plush must also be sufficiently durable to withstand being mouthed or chewed consistently. Dog owners say these plush dog toys with squeakers make the cut for their pups. ZippyPaws Skinny Peltz No Stuffing Squeaky Plush Dog Toy, Fox, Raccoon, and Squirrel. If your dog is the kind that simply can’t get enough of that tasty stuffing in so many plush toys, these no-stuffing squeaky plush dog toys are a much safer option. They also have three squeakers inside each toy. They come in two sizes (Small, Large). One word of caution: if your dog is a very aggressive chewer, be sure to supervise him with these toys! Ethical Pet Spot Fleece Rabbit Dog Toy. This lovely plush rabbit is surprisingly durable for a plush toy and is made of dog-safe natural fibers that are safe for chewing. Each rabbit comes with a squeaker hidden deep inside the toy. Hedgehogz, Squeak and Grunt Plush Dog Toy. This toy comes in four sizes (S, M, L, XL). In the two smaller sizes, there is a hidden squeaker. In the two larger sizes, there is a hidden squeaker and a jingle/grunt box. The shape of this toy is designed so that your dog can use it as a comfy neck and head rest for cuddle time. A Kong squeaky toy can be a great choice both for a “distraction toy” and a “chew/activity toy.” Kong toys are made from dog-safe, durable materials and are about as close to indestructible as you will find. Kong Classic Dog Toy. This Kong classic should be a staple in every dog’s toy box. It comes in six sizes (XS, S, M, L, XL, XXL) and in several versions (Puppy, Classic, Extreme) for different types of chewers. You can also hide Kong pre-made treats or your own homemade treats inside for extra fun! Kong Wubba Dog Toy. This super-popular Kong toy comes in several styles, including one just for puppies. The internal squeaker is inside the ball end of the toy and the long streamers are great for gripping and interactive playtime. It comes in several sizes. KONG Squeezz Ball Dog Toy. These fun squeaky squeeze balls come in four sizes (S, M, L, XL) and a variety of colors depending on the size. They also come in six shapes, so if your dog likes them, you can keep the toy box interesting with a rotation of different Kongs! 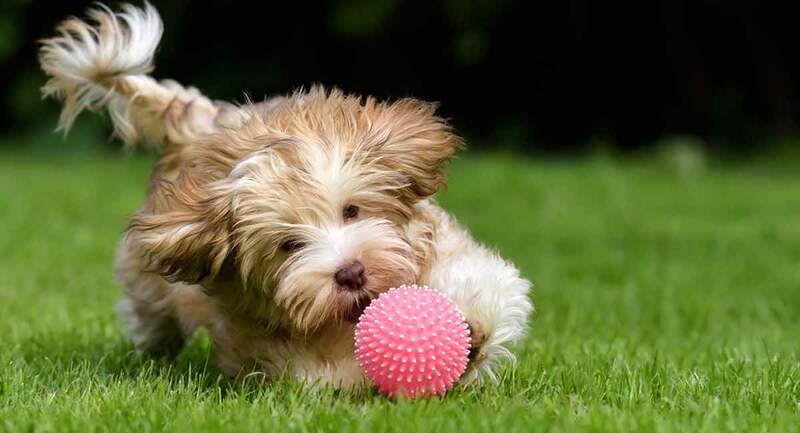 Every dog should have a squeaky ball toy or two for “chew/activity toys.” The key safety issue with ball squeaky toys is to find toys that are both sizeable and durable enough so they will not be swallowed. This also means you should carefully consider your dog’s jaw size as well as chewing strength when selecting squeaky ball toys. KONG Squeaker Tennis Balls Dog Toy. These Kong squeaker toys come in five sizes (XS, S, M, L, XL) to suit the needs of different size dogs. Like all Kong dog toys, they are made of dog-safe material. As a bonus, the outer felt is non-abrasive and won’t cause any pain as your dog chews. Petmate CHUCKIT! ULTRA SQUEAKER BALL. If you and your pooch haven’t tried the ChuckIt! System yet, you are both in for a treat! These balls come in three sizes (S, M, L) and will fit the ChuckIt! Ball Launcher. JW Pet iSqueak Funble Football Dog Toy. This fun football-shaped toy comes in three sizes (S, M, L) and has a neat side grip handle so you can play “football” with your dog! The whole toy squeaks when chewed. Owners say this is one of the most rugged of all the rubber squeaky dog toys they have tried. What is cuter than watching your furry sidekick going about the day while gripping a large stuffed duck or pig? We can’t think of anything! Duckworth Dog Toy. This squeaky duck dog toy is tremendously popular with dog owners and pups. However, this is a toy best used under supervision and for interactive play if your dog is an aggressive chewer. HuggleHounds Extremely Durable and Squeaky Ruff-Tex Latex Pig Toy. This squeaky pig dog toy comes in two sizes (S, L) and is recommended for less aggressive chewers. It also comes in an assortment of fun characters. JW Pet Good Cuz Rubber Dog Toy. This adorable round rubber ball toy with feet comes in three sizes (S, M, L) and is a hit with dogs and their owners. The rubber is very durable and the toy bounces very well even with the feet. Puppies have some special challenges as they go through the teething process. This can make it seem like chewing is all your puppy ever thinks about! Choosing the best dog squeaky toys for puppies should focus both on the fun chewing activity and also on relieving the pain of teething. Gnawsome Squeaker Ball Toy. This squeaker ball toy comes in three sizes (S, M, L) and the outer texture is designed to massage your puppy’s gums to ease the pain of teething. Owners say the squeaker is incredibly durable and has outlasted most other squeaker toys. HARTZ Dura Play Bacon Scented Dog Bone Toy. This squeaking bacon-scented dog toy is perfect for teething puppies to encourage pain-relieving chewing. Owners say even French Bulldog puppies weren’t able to make a dent in this toy. It comes in two sizes (M, L). Outward Hound Hide-A-Squirrel and Puzzle Plush Squeaking Toys for Dogs. No puppy’s toy box would be complete without a hide-a-prey squeaking toy set. This popular set comes in four characters (bee, bird, squirrel, hedgehog) and four sizes (S, M, L, XL). Squeakers are hidden inside each of the characters and can be reordered easily as needed. We hope you have enjoyed learning more about the best squeaky dog toys for puppies and adult dogs with different chewing and play styles. Does your pooch have a favorite squeaky toy that we didn’t highlight here? Please drop us a comment and tell us about it – we love to learn from our readers! Block, K., et al, “Dog Toys: How to Pick the Best and Safest,” The Humane Society of the United States, 2018. Greiner, T., “Play it Safe – Dog Toy Safety,” Pibbles & More Animal Rescue, 2015. McWilliams, A., “Paw Talk: The Good, the Bad and the Squeaky,” Antigravity Magazine, 2012. Becker, M., DVM, “Dog-Proof: Good and Bad Toys for Your Pooch,” ABC News, 2018. Tidd, L., DVM, et al, “Safe Chew Toys for Dogs,” Germantown Vet, 2017.